Once members of the street furniture family found in most countries that deal with snowfall and freezing temperatures on an annual basis, grit bins are now available in different sizes, shapes and colours, and are perfectly suitable for domestic use. What Is the Purpose of the 115 Litre Grit Bin? 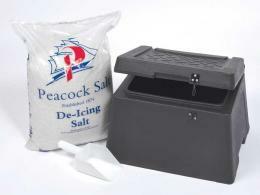 The 115 Litre Grit Bin that we provide is a clever storage method for grit and salt. A mixture of these two key components is spread over road surfaces during the cold season to eliminate ice and snow accumulations and prevent new deposits. 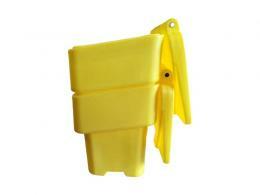 Due to their practicality and widespread use, these bins are an inexpensive method to improve road safety during winter. Due to its volume, this model is suitable for users who have to grit larger surfaces. Versatile, compact and easy to store, the 115 litre grit bin stocked and sold by The Workplace Depot is just what you need to keep your outdoors snow and ice-free this season. Explore the most convenient way to store grit (and other contents, if needed) and use a shovel to spread thin layers of rock salt rock to cover any ice or snow. These contents will lower the melting point of snow, making it melt. Given that grit enhances friction between your car’s tires and road surfaces, you should consider spreading this compound on any icy layer. The bin model that we deliver is suitable for outside use and storage, and can be utilised on patios, gardens, pathways and driveways, and any other outdoor area requiring a prompt snow removal job. Homeowners and businesses looking for the best winter products with a small price tag will appreciate the practicality of the 115 litre grit bin sold by The Workplace Depot. Fitted with a premium barrel lock and key mechanism, this storage option ensures the highest level of protection for your contents year-round. 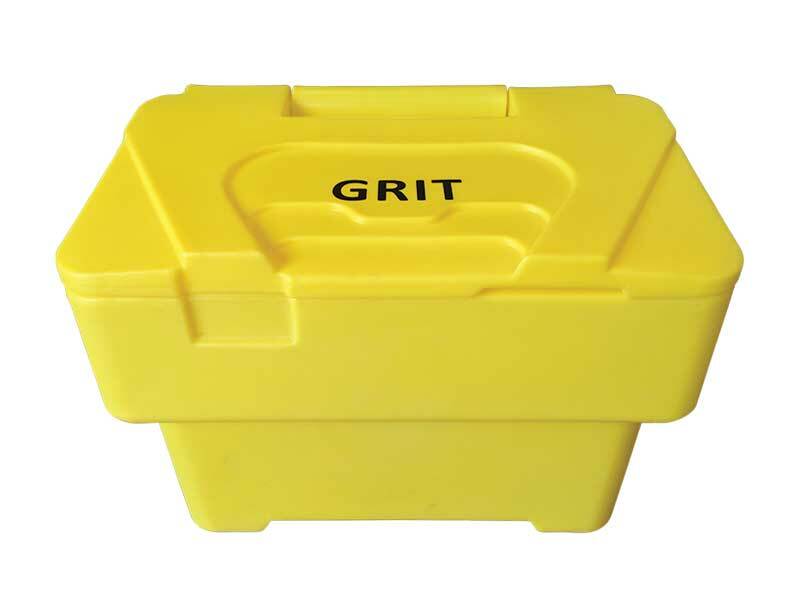 Its ideal standard dimensions- 605(H) x 705(W) x 560(D) (mm)-and compact design turn this item into a bestseller designed to cater to the needs of individuals looking for a sturdy grit container that they could reuse over and over again. 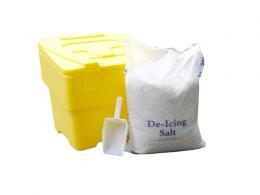 Made from medium density polyethylene, this 115 litre grit bin is tough and can withstand extreme weather conditions. Its nestable design turns it into the best choice for potential clients that interested in space-saving storage that also ensures ease of transportation. This model comes in yellow stock colour, but you can order it in grey or green if you’re willing to wait a bit longer for your package delivery.